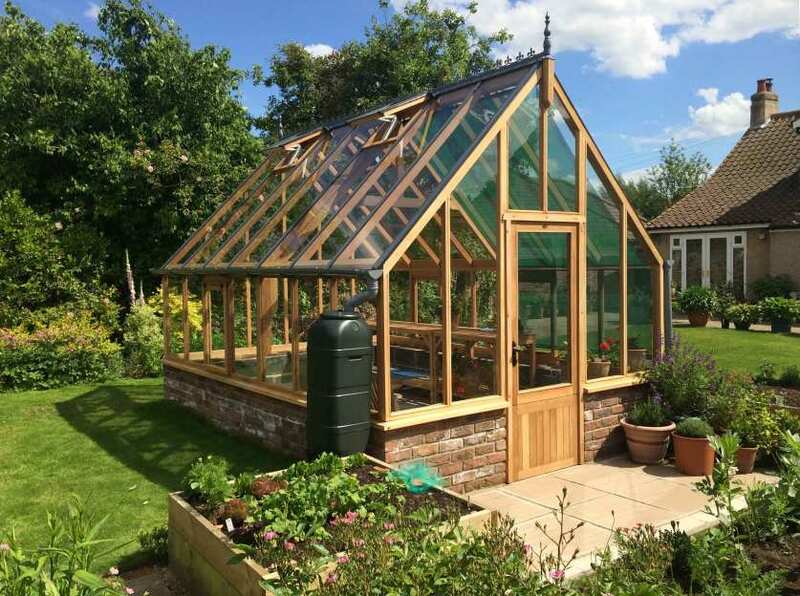 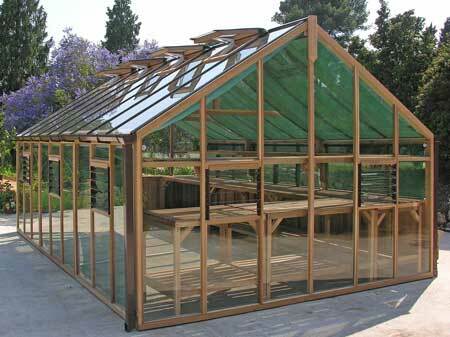 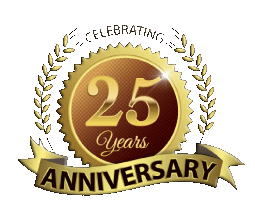 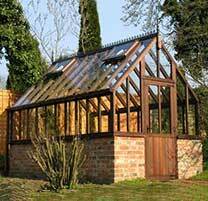 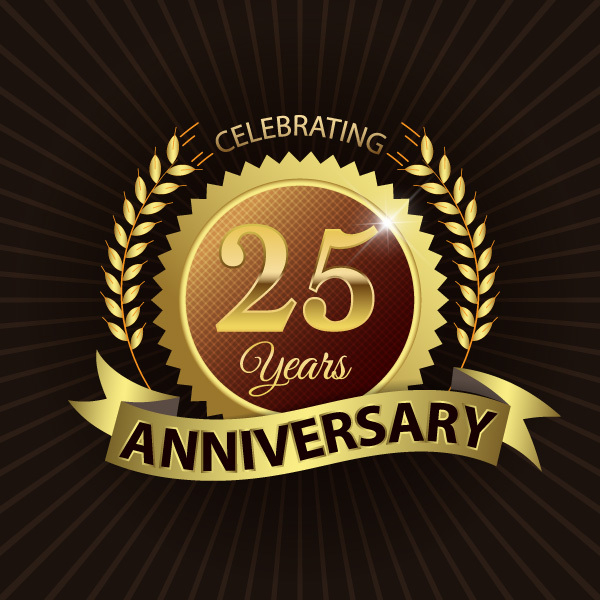 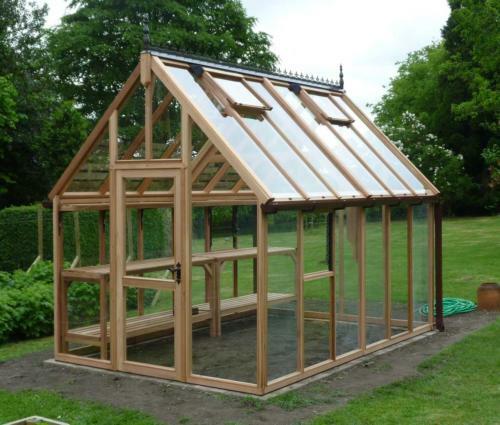 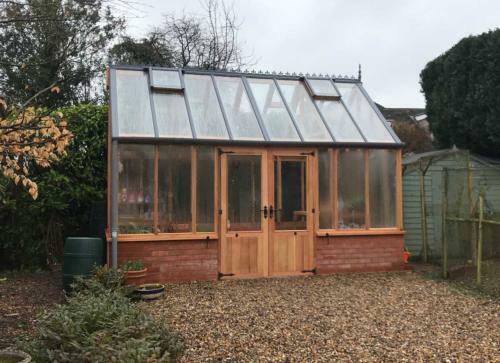 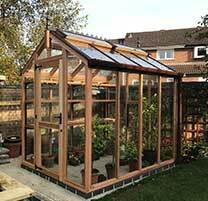 The Kings Bromley greenhouse is an amalgamation of the standard wooden Bromley and the timber Kingsbury greenhouses, featuring a 40 degree pitch and wider 22″ panes of glass. 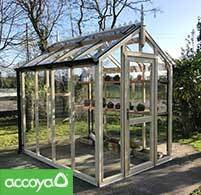 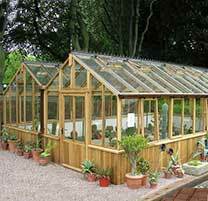 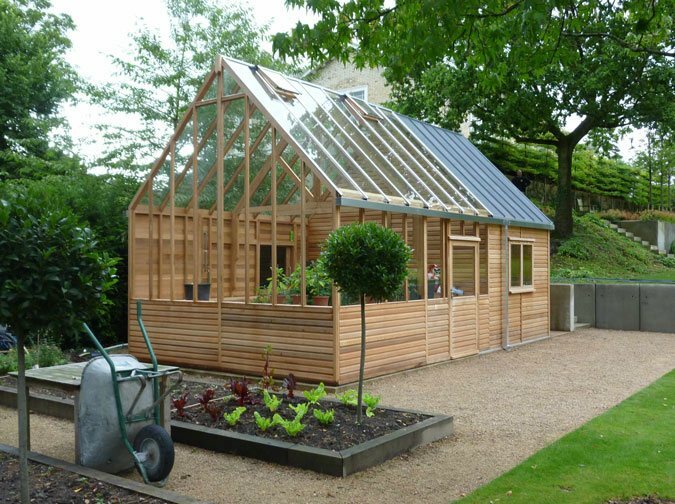 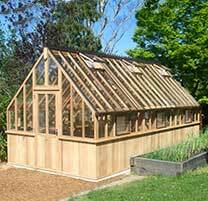 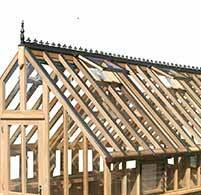 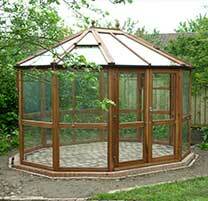 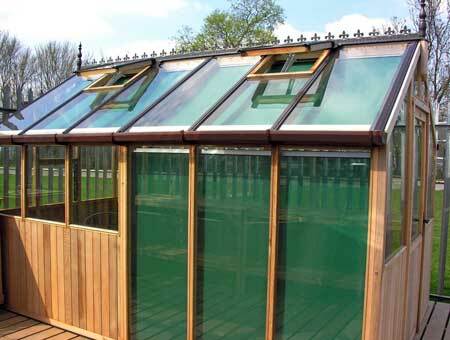 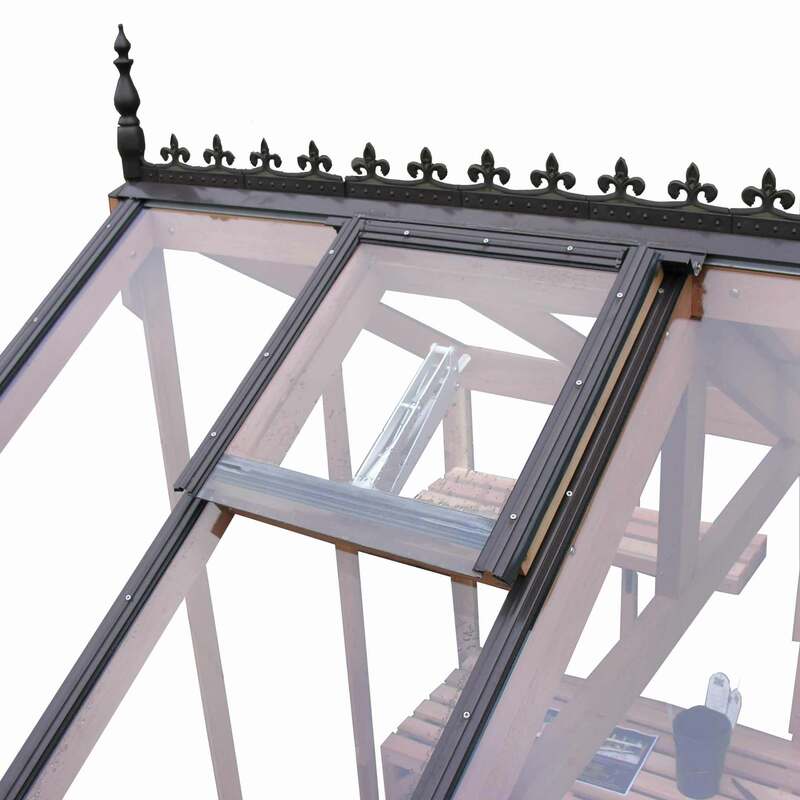 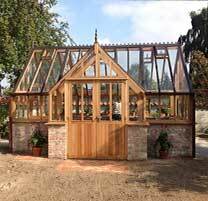 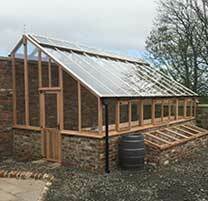 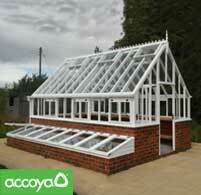 An update on the Victorian Greenhouse style, giving the classic shape and height with a contemporary twist. 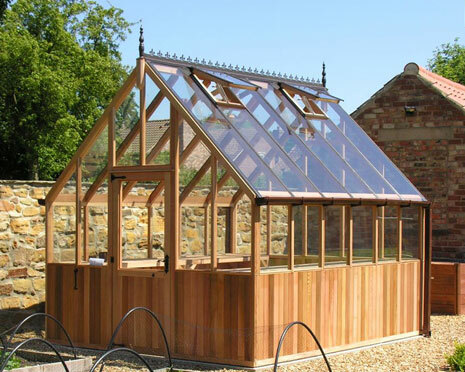 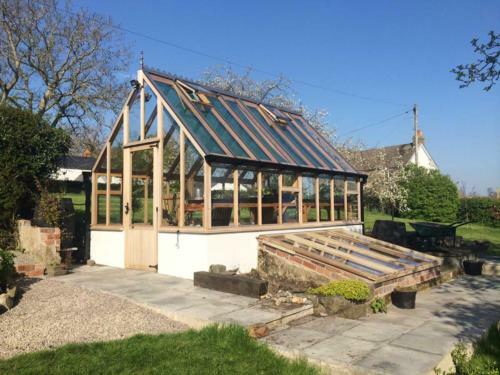 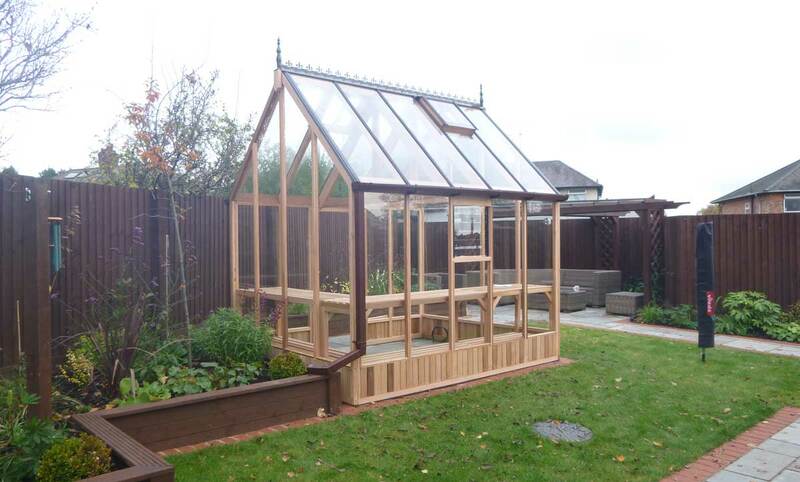 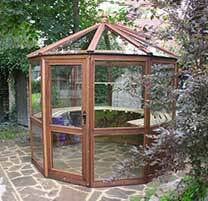 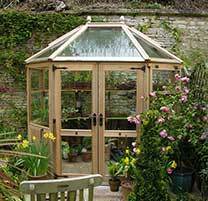 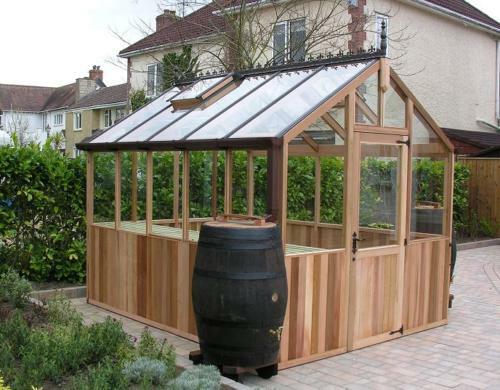 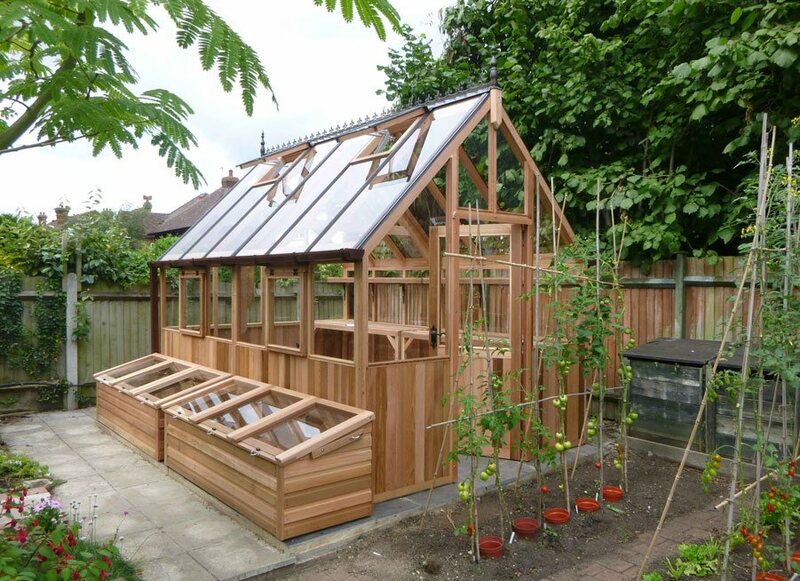 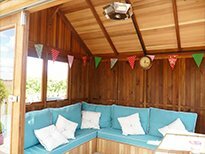 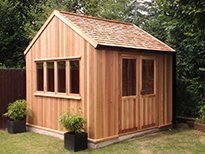 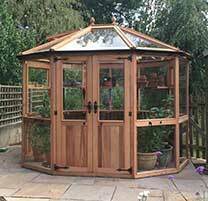 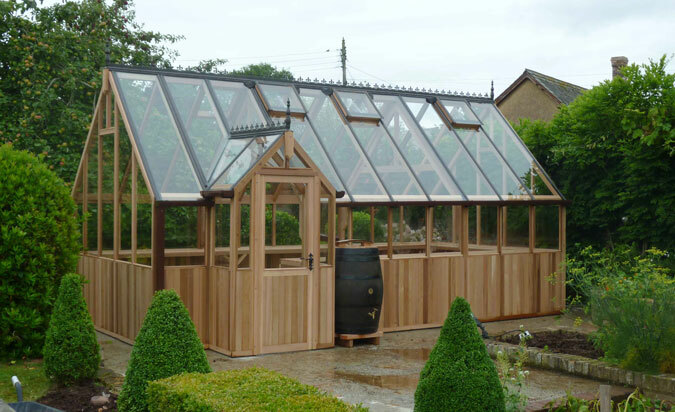 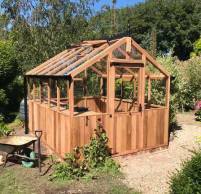 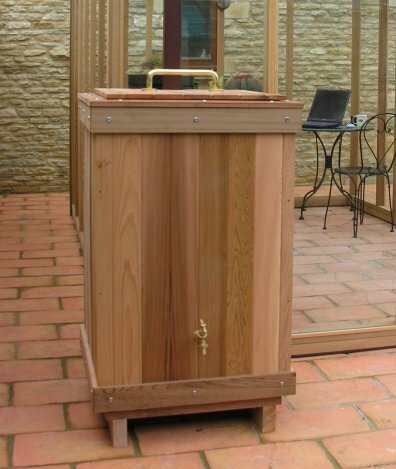 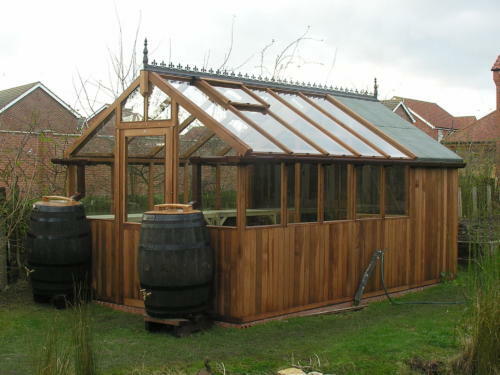 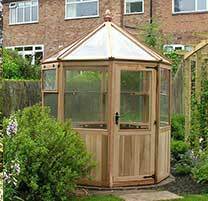 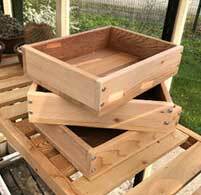 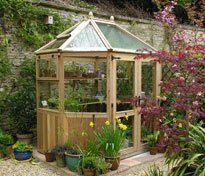 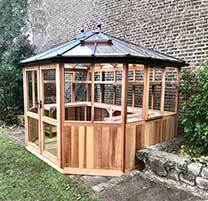 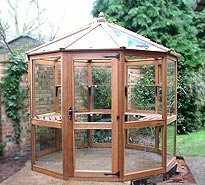 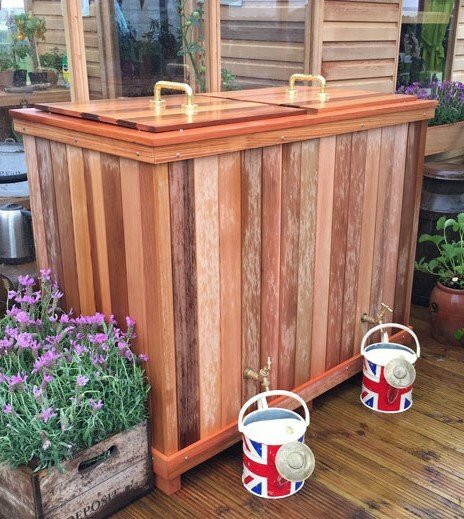 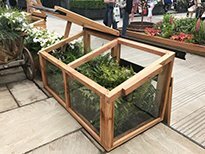 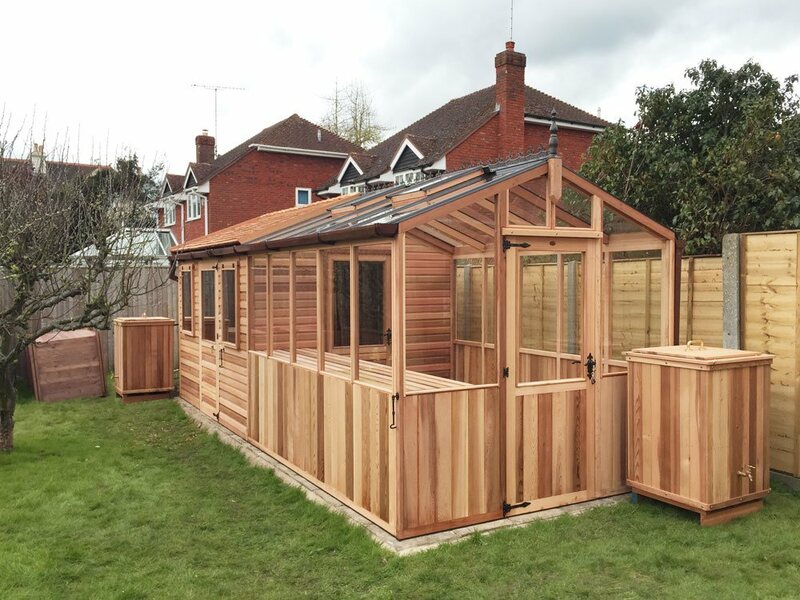 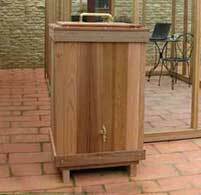 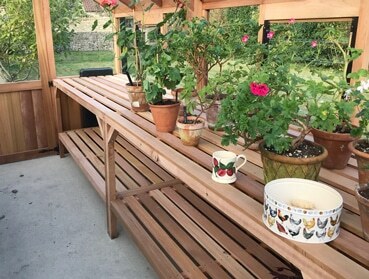 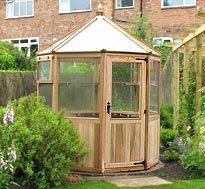 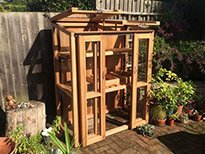 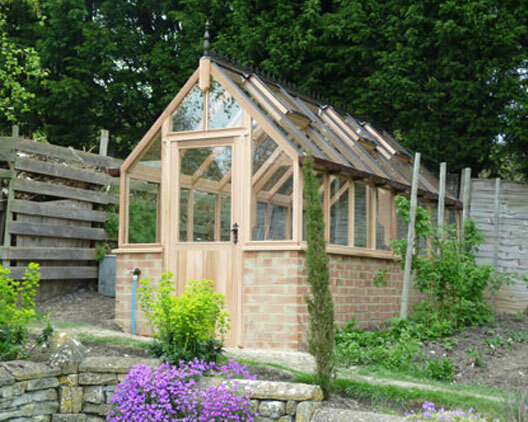 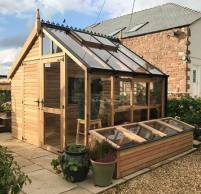 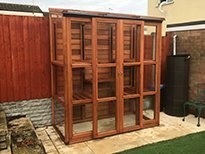 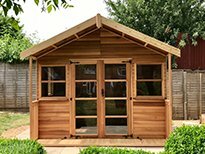 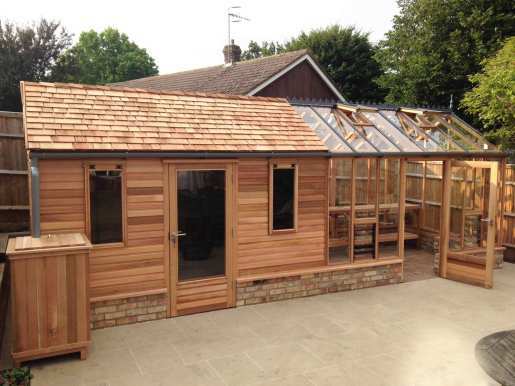 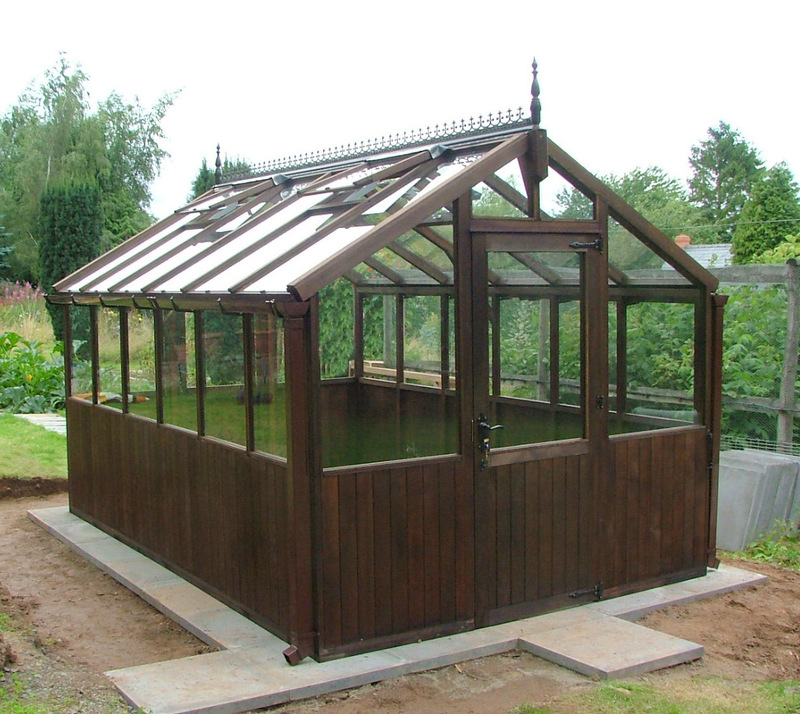 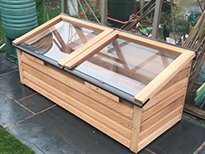 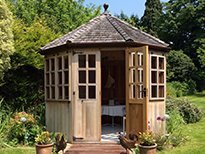 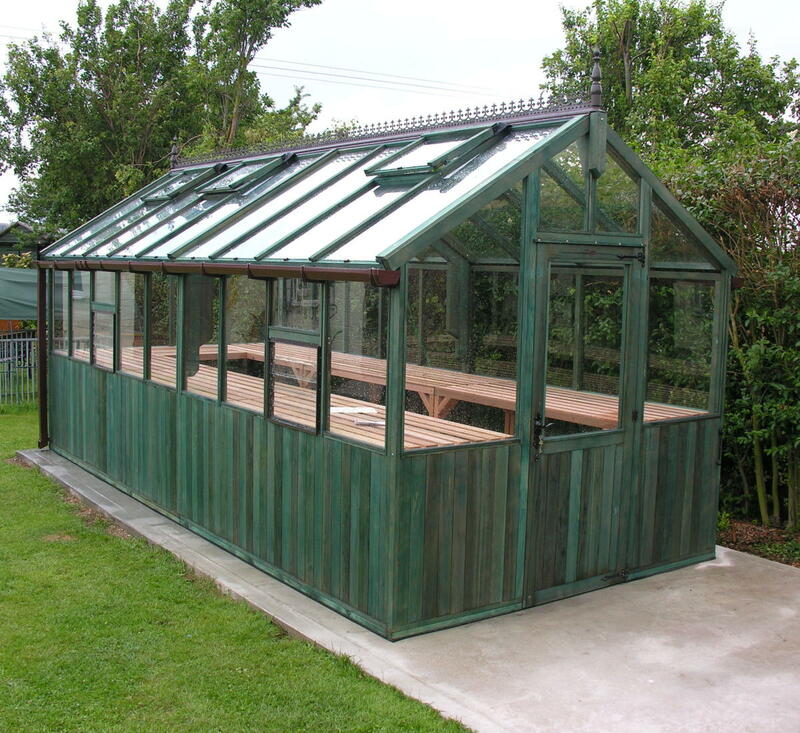 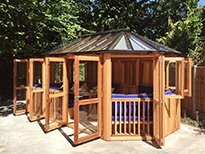 This cedar greenhouse is a beautiful and functional feature for any garden and can be manufactured to any size required; fitted on to your dwarf wall or freestanding at no extra cost. 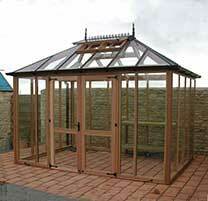 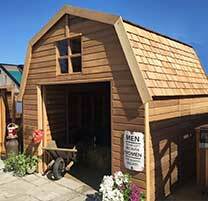 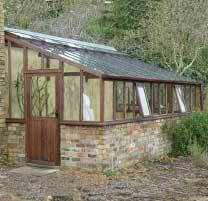 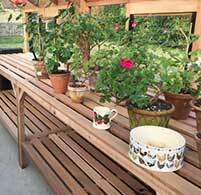 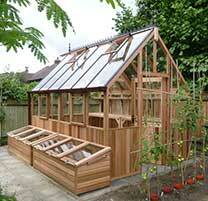 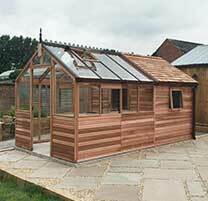 6ft x 16ft Western Red Cedar, bespoke Kings Bromley Greenhouse installed upon a customers dwarf wall. 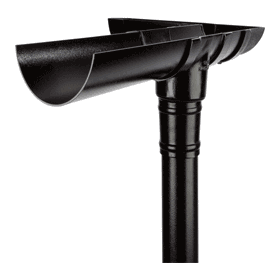 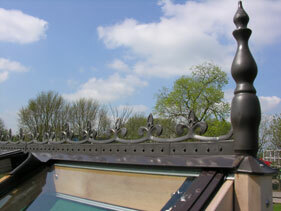 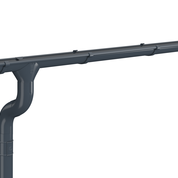 Fitted with brown aluminium capping. 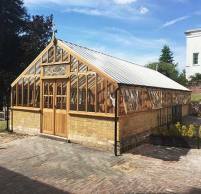 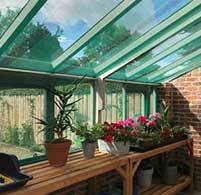 10ft x 14ft bespoke Kings Bromley Greenhouse installed in Gloucestershire. 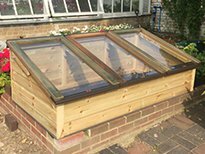 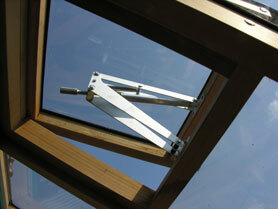 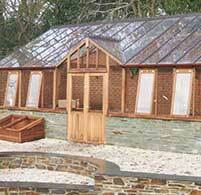 Fitted with grey aluminium roof capping and three casement windows. 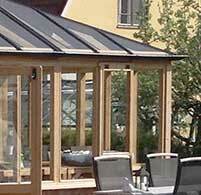 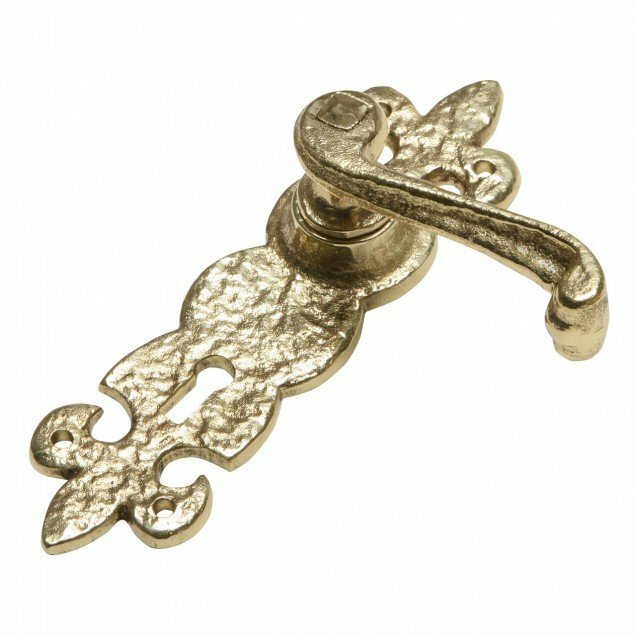 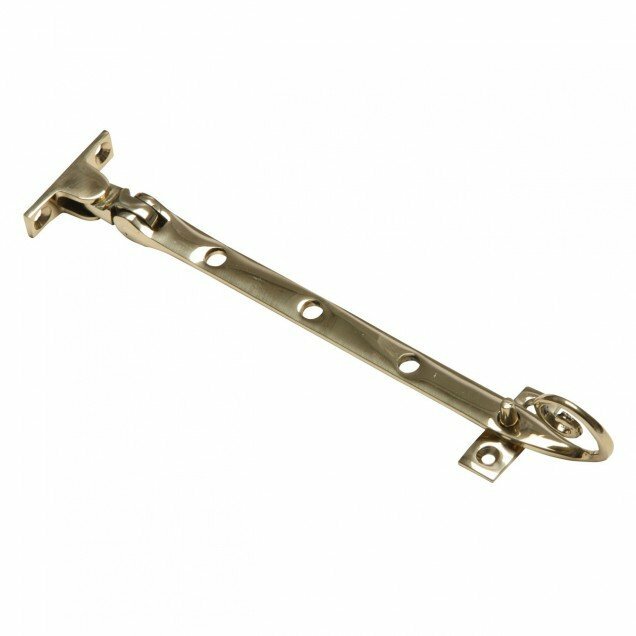 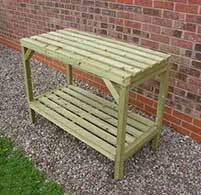 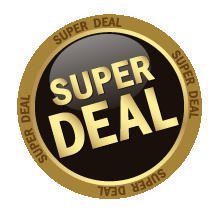 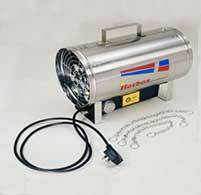 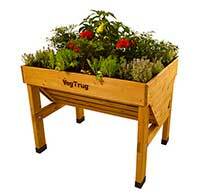 Delivered and installed for £6795 inc. VAT.